The box arrived, the box inside was secure. The brush was very light and was able to handle.The brush feels very soft. The one touch power up and power down comes in handy when you have a toothbrush in the other hand. Very easy to charge up. Make sure you close the port cover when finish charging. The instructions were very clear about charging before using. Read the instructions before using.In doing so twenty five minutes did not seem so long.Remember to using cleanser on your face make sure your face has lots of lather. http://www.amazon.com/gp/product/B0727XT8P7It is not suggested to apply to face dry to skin. With the minus and plus buttons it was very easy to feel the the power difference in deep cleaning and massage. For any type of conditioning of your face make sure you close your eyes and do not press on the face hard.You could damage nerves or muscles. 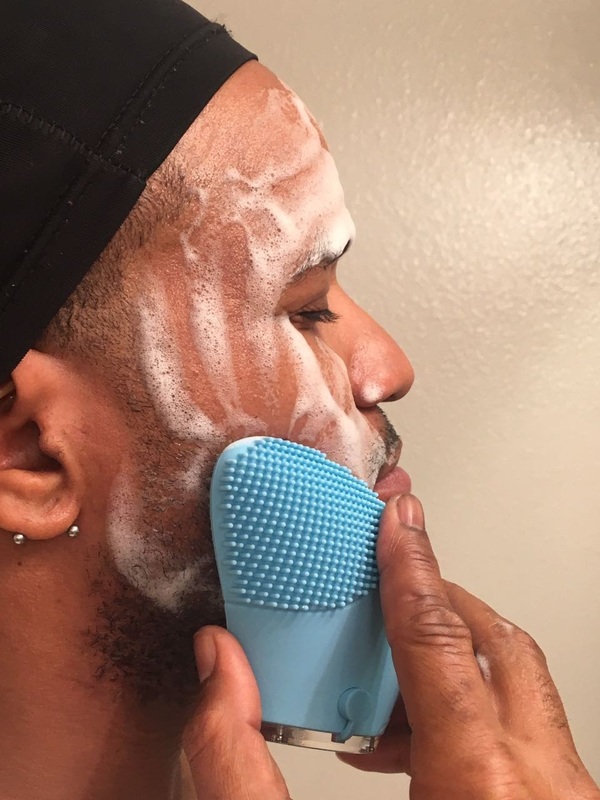 Facial cleansing products little splats could find paths to your sensitive membranes from the vibrations. The cleansing product collects the dirt deep in the silicone nooks and crannies. Make sure to power off before rinsing. Give the brush a nice little shake and ready for the next facial task. 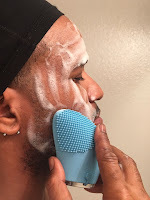 Use the link below to find your Silicone Facial Brush.